Regarded as one of the best craft brewers in the U.S. and even rated as a “World Class Brewer” by the two largest beer enthusiast websites, Stone Brewing has more than made a name for themselves. But all that success had to start somewhere, and that somewhere was in LA in the late 90s. 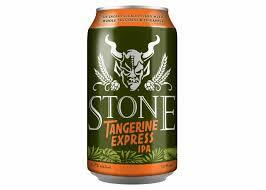 Stone Brewing was founded by Steve Wagner and Greg Koch. Greg moved to LA to pursue becoming a Rockstar, where he went to guitar school and went on a rock tour as a photographer. During this time, he also earned his business degree from the University of Southern California and found a new love for craft beer. He then found himself managing bands until he opened his own business where he rented studio space to musicians and in his spare time took up home brewing. Getting an English degree from University of California-Santa Cruz is what brought Steve to the area, but after receiving his degree he spent the next 15 years touring with his band. During this time a band member introduced him to homebrewing which he soon became consumed with. The first time the two met, in 1989, Steve’s band was renting studio space from Greg, but beer was never brought up in their short exchanges. It wasn’t until a few years later when they both attended the “Sensory Evaluation of Beer” class at UC Davis they recognized each other and found out they both had a love for craft beer and homebrewing. Afterwards they went out for beers and found out further that they had very similar if not identical tastes in beer as well as brewing convictions. A friendship was born. The next few years they kept in contact discussing anything and everything beer till it got to the point they decided they needed to start their own brewery. Steve had the brewing knowledge and Greg had the business background to get the ball rolling. The following couple of years were spent putting together a business plan, finding investors, and finding a home for the brewery. They finally landed with the San Diego area and settled in San Marcos. They started moving in in early 1996 till they cut the ribbon and tapped their first keg on July 26th, 1996. Since opening Stone Brewing has continued to grow and gain popularity at a rate that Steve and Greg couldn’t have imagined. In the early 2000’s they found that they weren’t going to be able to keep up with demand at their San Marcos location and had to relocate to a new facility in Escondido, California in 2005. This is where Stone currently resides. With their steady increase in demand across the country and the world, Stone made a couple of big strides in 2015 and 2016. In 2015 they became the first American Craft Brewer to independently build, own, and operate a brewery in Europe when they opened a brewery in Berlin, Germany. Stone also opened another World Bistro & Gardens with the Berlin Brewery. 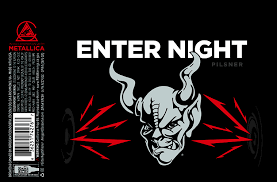 Then in 2016 they opened their second American brewery in Richmond, Virginia so they could get their beer fresh to consumers on the East Coast. With all their astonishing success Stone has grown to become the 8th largest craft brewery in the U.S. and distributes to all 50 states. 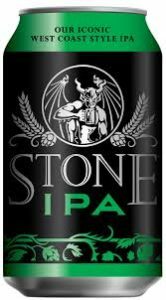 Stone also distributes to countries in Europe, thanks to their Berlin brewery, and countries in N. America and Asia as well as Australia.